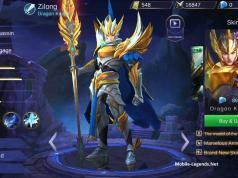 Mobile Legends, Aurora Guide! Very powerful Mage, and uses the power of frost. Hey always you can add your suggestion about Aurora Guide. First thing first, her skills. 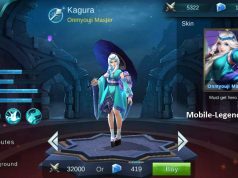 As any other hero in MLBB, Aurora uses 4 skills to eliminate her enemies. One of them is her passive Pride of Ice. The best way is to stack up to 4 frost units. Basically, each attack will deal magic damage and after the 4th attack, casting a spell will freeze the enemies. One of her casters is Frost Shock. She launches a frost projectile at a specific direction, dealing magic damage. At the same time, she slows the enemies. Her next skill, Bitter frost deals magic damage and slows the enemies for 80%. At last, we have her ult, Coldness Destroy. Aurora will summon a huge frost crater at a specific location, dealing magic damage and slowing enemies. So, here is how to use Aurora in battle. Stack up to 4 units, use her first skill, then second skill. This is for solo fighting. For team fight, use her ult first, this way the enemies will be slowed down. Immediately after, use her second skill. A perfect combination and a great support at the same time.